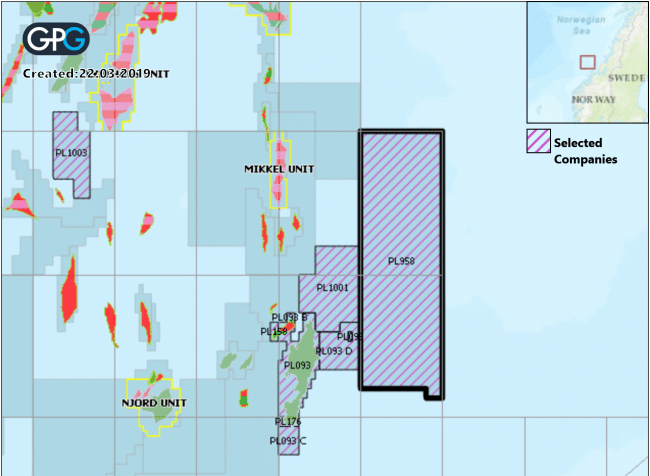 OKEA takes over the 50% working interest of Shell in PL 958 east of the Draugen field in the Norwegian Sea. The transaction between Shell and OKEA is already effective since 31st of January. OKEA is operator in PL 958 with 50% working interest. The other partners are Petoro (20%) and Neptune (30%). PL958 is located on the Trøndelag Platform, 10 km east of the Draugen Field, where OKEA is operator, and east of PL1001 where the company is partner. In a press release OKEA says that the acreage is in the exploration phase and data coverage is limited. ‘’This position in PL958 strengthens our presence in the Draugen Area’’, comments Andrew McCann, SVP Subsurface in OKEA. ‘’We believe that the large license can contain a continuation of the Draugen geological trend and that there are interesting opportunities which could significantly expand the resource base for Draugen in the future.’’. The PL958 license contains several prospects according to OKEA. The most promising at this early stage is the Rialto prospect, identified by a typical sand signature with significant lateral extent in the seismic. The play is the same as on Draugen, with reservoir in Late Jurassic Rogn Formation. Source is mainly the Spekk Formation, which charged Rialto via spill from Draugen. Charge is the main risk. The license has an “Acquire 3D seismic or drop” decision in June 2019. Rialto has net unrisked resources of 45 to 289 mmboe. List on the Oslo stock exchange? 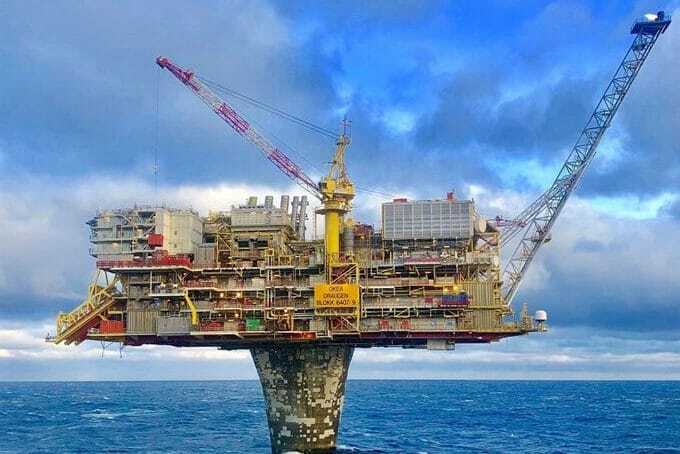 In December 2018, OKEA took over operatorship and 44.56% ownership of Draugen from Shell. In its 2018 annual report the company states that it has a substantially diversified its asset portfolio with the Draugen transaction. OKEA had a daily production of more than 20,000 boepd at the end of 2018 and has built a strong operational organization capable of growing a profitable business in the years to come. The Company is now contemplating a listing at the Oslo stock exchange in order to provide further funding. OKEA will participate in an exploration well on the Kathryn prospect in PL 910 (operator Repsol) later this year, planned Q2/Q3. The Kathryn prospect lies a few kilometres East of the Yme Gamma structure. It is the same play as Yme, with reservoir in the Mid Jurassic Sandnes Formation, sourced by the Tau Formation. The main risk is timing between trap formation and migration. In the Gjøa license, the Hamlet prospect will be drilled most likely in 2020. Hamlet is a Cretaceous prospect, similar to the nearby Cara discovery. The reservoir consists of turbidite flows originating from the southeast. Hamlet is believed to be connected with the Agat (35/9-3 T2) discovery to the north by a saddle, hence a high COS is assumed according to OKEA. The Draugen Appraisal project is a low-cost appraisal campaign designed to assess in- and near-field prospects in the Draugen licence. The targets include the already defined Dansemus, Springmus, East Flank and Skumnisse prospects identified by Shell, as well as several newly established infill targets. The main differentiator from Shell’s work is the incorporation of the 2016 depth conversion, which improved the imaging of all prospects, as well as the 20-year production life ambition for Draugen that OKEA has. Read here OKEA’s 2018 resource report.